The ability to continuously develop both incremental and radical innovations is a hallmark of successful companies. Incremental innovations are important to secure the short-term survival of the firm. Radical innovations are essential because they enable the firm to stay competitive in the long run. Therefore, maintaining a balance between exploitation of existing capabilities for the development of incremental innovations and exploration for new knowledge for the development of radical innovations is paramount for firm success. However, in contrast to exploitation, returns from exploration are uncertain and remote in time. As a consequence, exploration activities are often crowded-out in favor of exploitative innovation projects. 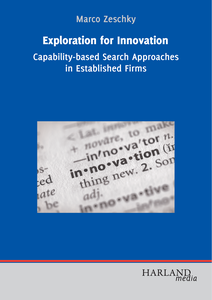 In this book, Marco Zeschky investigates how firms manage to successfully engage in both exploitative and exploratory activities for innovation. Based on insights from in-depth case studies, a management concept for effective exploration is developed. 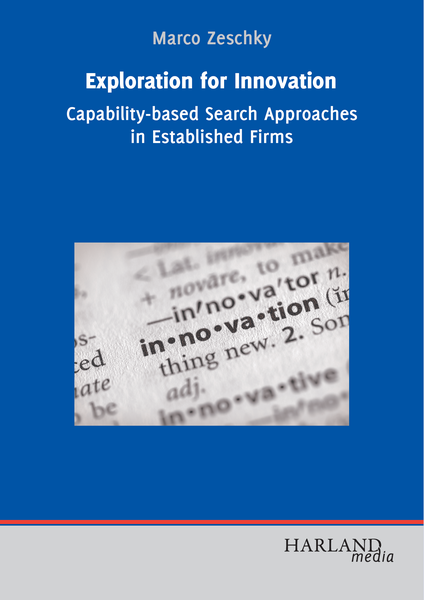 The book is addressed to managers and researchers who wish to gain more insights on the success factors of effective and sustainable exploration for innovation.